Many gardeners with poor soil choose to replace that soil with premium growing mix. Homeowners with a newly constructed home, for example, may find that most of the topsoil in their yard was removed during construction, leaving a subsoil devoid of nutrients and organic matter. Gardeners are then faced with the confusing task of determining how much soil they'll need. For a flower bed, you need to determine the area in square feet and the volume. A few simple math equations or online calculators simplify the job. Measure the length and width of the flower bed. Multiply those measurements to determine the square footage. For example, if a rectangular flower bed is 10 feet long and 4 feet wide, the square footage is 40 feet. Divide that number by 12 to get the number of cubic feet you will need for each inch of soil. In the above example, you'd divide 40 by 12 to get 3.33 cubic feet per inch. Multiply by the number of inches of soil you need to fill your flower bed. For example, if you have a flower bed with no native soil, you'll need to fill it with at least 8 to 10 inches of soil. In the above example, you'd multiply 3.33 by 10 to get 33.33 cubic feet. Determine how many bags of soil you'll need. A cubic foot contains 25 3/4 dry quarts. 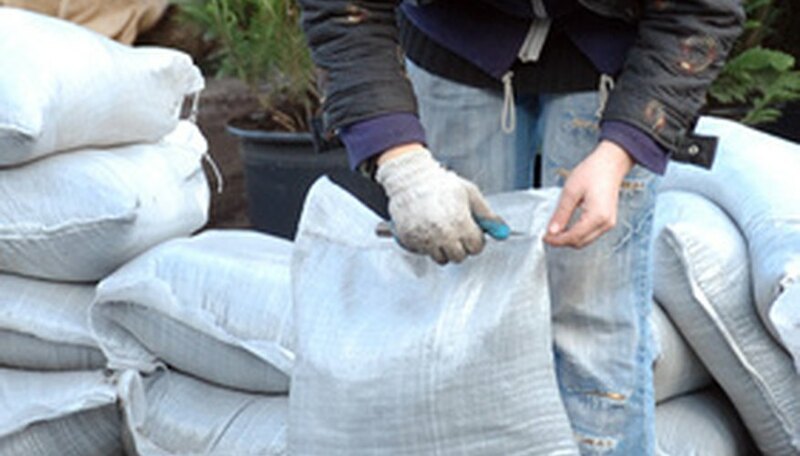 Most bags of soil are sold in 20 quart or 40 quart bags. Multiply the number of cubic feet needed by 26 (rounded up). In the above example, you'd multiply 33.33 by 26 to get 866 dry quarts. Divide that number by the number of quarts in a bag of soil. For our example, you'd need 22 bags of soil if the soil was sold in 40 quart bags. Buy soil in bulk from a landscaping company for large projects because it is more cost-effective than buying bagged soil. Most suppliers require a minimum purchase of 10 cubic yards. To convert cubic feet to cubic yards, divide cubic feet by 3. In the above example, you'd divide 33.33 by 3 to get 11.11 cubic yards. Always buy a bit more soil than you think you'll need. You can use any leftover soil in other gardening projects if necessary.